I love zombies. I know the market has been a bit flooded recently with zombie…stuff, but State of Decay did it right. You play a whole team of people, all of whom live together in a safe house, in the middle of a town filled with the undead. Quests include finding more survivors, finding food and medications, and killing hordes of the walking gross. There’s nothing more satisfying than taking out a whole horde in the Honda Civic you just hotwired. This edition is an improvement to the graphics, bumping it up to 1080p. It also includes a few more missions, and a new character. So, I’ve never really properly played a Mega Man game before. I love the design, gameplay, and progression of the series but I never owned the games myself or played through any of them fully. So with Mighty No. 9 I feel like this is my chance to catch up. 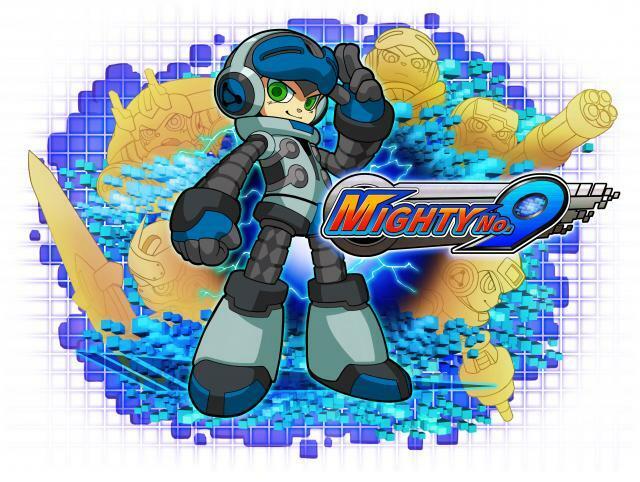 I really enjoy that this comes off as a fully realised and evolved version of the Mega Man games. With the co-creator and illustrator for Mega Man himself, Keiji Inafune, behind the project I’m confident that my hopes might just pay off. It’s also been especially heartening to see how much has been put in thanks to the fans who backed the Kickstarter. Thanks to the success of its crowdfunding, I can only imagine what a delight this game will be with more modern and fleshed out platformer mechanics, and a truly bright and eye-popping visual flair to its design. I can’t wait to see what this game is like, even from the sidelines as one of the poor fools who didn’t get to back the Kickstarter page when it was still around. My fingers are crossed that we won’t have to wait too much longer! Broken Age! Broken Age! BROKEN AGE! Tim Schafer returned to the world of point and click adventure games, and while he seems eager to return to some old favorites (Grim Fandango was recently revived, and he seemed interested in returning to the world of Psychonauts as well), Broken Age feels more like a modern game, aimed at the interests of modern, younger players. Sure, I love a lengthy, ponderous adventure game, assembling obscure inventory items and running back and forth between too-large areas. But Broken Age is paced so much better for the 30-year-old Jo who’s gotten home from work and doesn’t have the time or patience for nostalgia anymore. The puzzles are tightly-crafted, and seem to integrate better into the storyline, which is both refreshing and captivating. The bifurcated story, between coddled Shay Volta and maiden sacrifice Vella Tartine, were played separately in Broken Age’s first chapter, and ended on a heluva cliffhanger. Broken Age was tight, fun, and charming, and I want to see way more from this title.